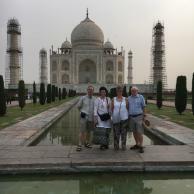 Very easy day today checked out of Delhi hotel and had a mini bus ride for4.5 hours to Agra. 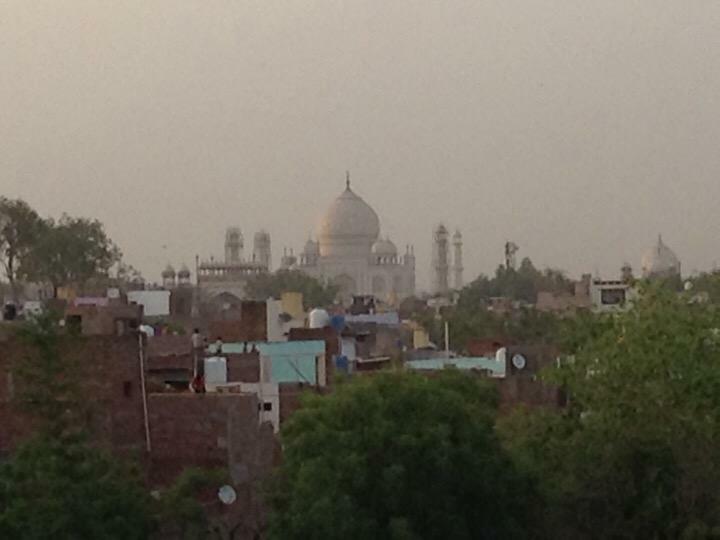 We have viewed the Taj Mahal as the sun set. I can't believe that we are really here. We have all seen this building on television and in the newspapers but here it is in real life. Tomorrow we leave at 5:30 am to visit the site, before it gets really hot and busy. Lots of rules about what you can take in etc. It should be great. Going at that time of day means the heat will only be about 27 degrees (cool). After about 3hours at the Taj we go back to the hotel for breakfast. 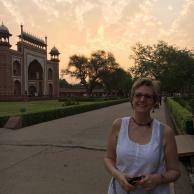 Then on to visit the Agra Fort. Off to eat now, then early to bed for our early start tomorrow.